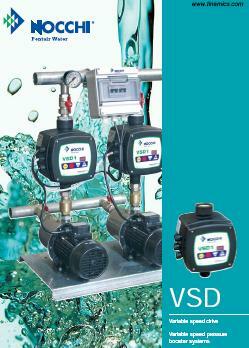 Easy to install, VSD manages all controls necessary for a pumping system. 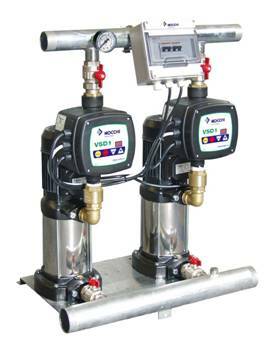 VSD variable speed pumping system keeps constant delivery when pressure variations occur. The status display allows instant overview of operating characteristics. 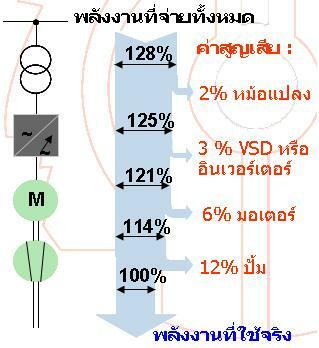 VSD cuts your electricity usage by automatically pumping only what is required by the system. The frequency control enables the delivery of variable flow at constant pressure by automatically reducing or increasing the motor speed according to water demand. 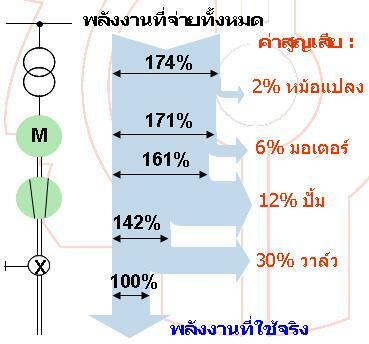 When the maximum flow rate of the first pump is reached, the control system runs at pump at is maximum speed. If the first pump is not enough, the second inverter starts the second pump in order to maintain the desired operating pressure. The unit automatically stops when water demand is over and the system reaches the set point. In the event of a fault, the display will show the cause of the system shutdown, Booster sets operated by VSD1 Inverters enable the cyclical changeover of pumps. 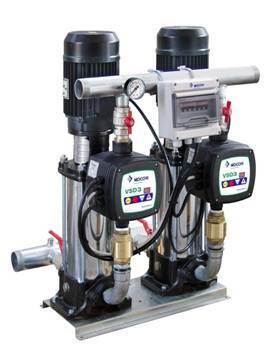 Multistage centifugal pump and 2 VSD1 or VSD Basic Inverters, Design to provide variable flow at constant pressure. A booster set assembled with 2 Multinox VE Vertical multistage centifugal pump and 2 VSD1 Inverters, Design to provide variable flow at constant pressure. 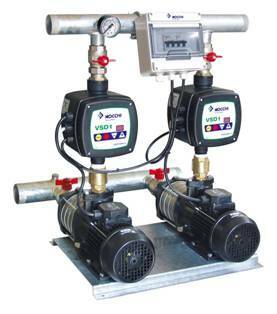 A booster pump set assembled with 2 HDR multistage centifugal pumps, and 2 VSD1 Inverters, Design to provide variable flow at constant pressure. 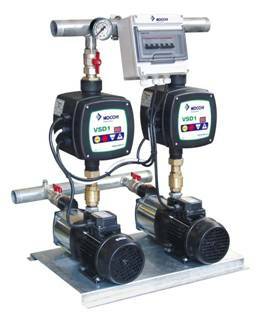 A booster pump set assembled with 2 VLR Vertical multistage centifugal pumps, and 2 VSD3 Inverters, Design to provide variable flow at constant pressure.